Micro-influencer Samantha Poole – Founder of Mum to Mum UK, and owner of SJPoole Network – is bringing her local businesses together in one space to collaborate, empower and educate in networking events like no other. Everyone is welcome to Sam's upcoming May Networking Event at the Bucks Biz iCentre in Newport Pagnell. Sam is asked daily for referrals and contacts for her business network, so this event in May and further upcoming networking sessions allow her to share her awesome freelance team with B2B and B2C communities. The May Networking Event will focus on LinkedIn and professional head-shots. Sam explains, "Years ago, LinkedIn was just for job-seekers, but it's becoming more of a content platform. People share status updates and articles, and they interact with each other within a business or professional context. And because the platform is still relatively early, they’ve made the organic reach insanely high." 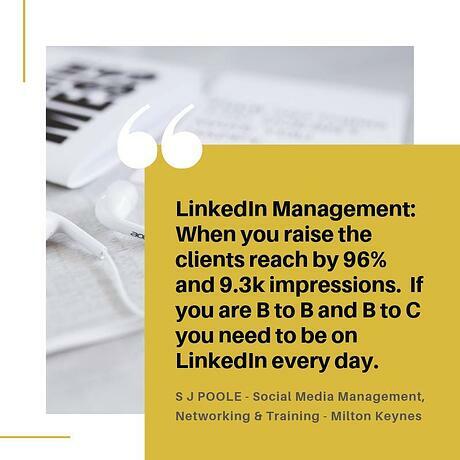 When you run a small business, every penny counts, and so Sam's sessions and events have been created to cover a range of areas of business management at an affordable price. Join Sam at her May Networking Event for one hour of networking and a 45-minute presentation and professional head-shot photo-shoot session, perfect for your LinkedIn profile picture. 12pm-1pm - Open Lunch Meet & Greet - 'who is Mum to Mum' - a chance to pop in and meet other local SMEs in MK. The event is being held at the Bucks Biz iCentre in Newport Pagnell on Friday 10th May, running from 9:30am to 1pm. Buy tickets on Eventbrite.